Wanda Shum Design: New Year, New Works! So, you figure when the shows have all ended...there may be breathing space...not! I was invited to contribute to a silent auction at Arty Gras, a gala fundraiser for the Winnipeg Art Gallery. 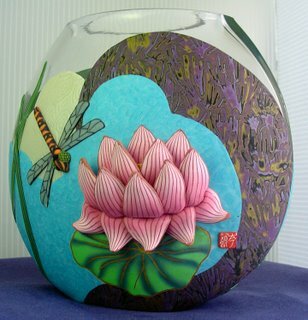 I felt honoured to have been asked as one of the artisans. It signifies that polymer clay is gaining more recognition as a fine art medium, and so it should! 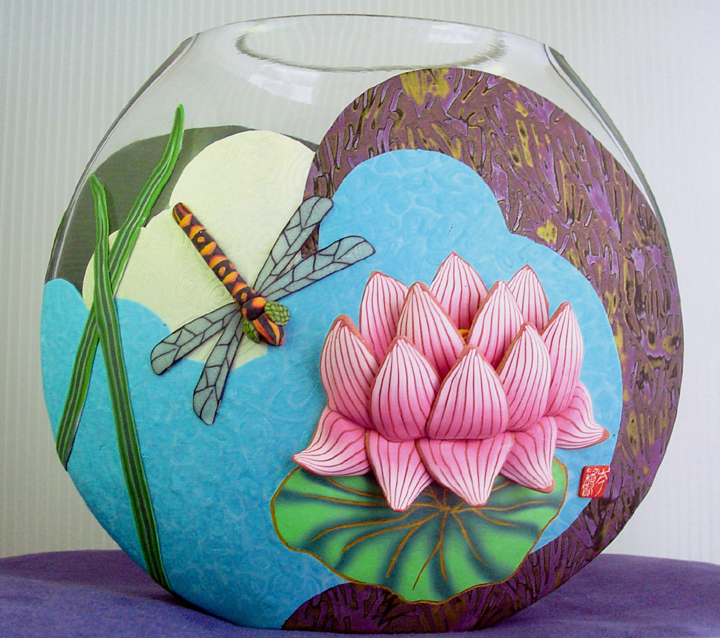 I created a vase inspired by my dragonfly teapot. It's a theme that's dear to my heart. Hope it makes oodles of money for the gallery. Wow! Gorgeous. You do wonderful, beautiful work.